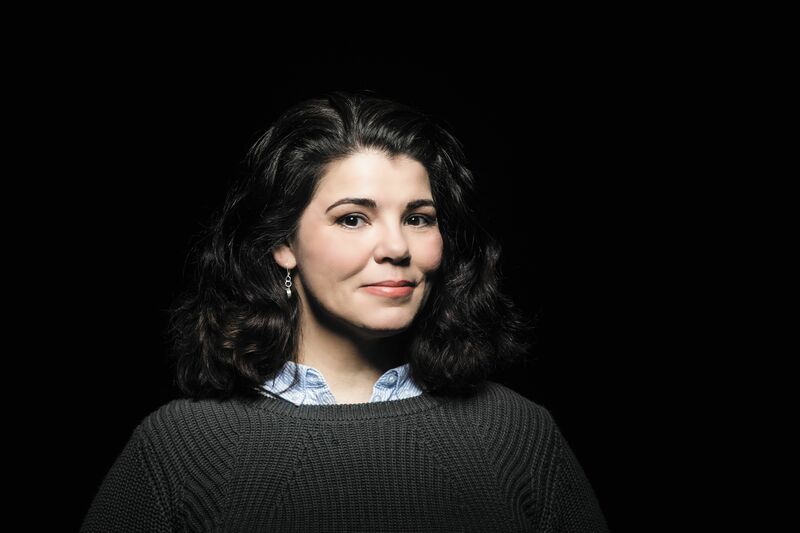 As a part of my series about “How to Slow Down to Do More” I had the pleasure to interview Celeste Headlee. Celeste is an award-winning journalist, professional speaker and author of Heard Mentality and We Need To Talk: How To Have Conversations That Matter. In her 20-year career in public radio, she has been the Executive Producer of On Second Thought at Georgia Public Radio and anchored programs including Tell Me More, Talk of the Nation, All Things Considered, and Weekend Edition. She also served as co-host of the national morning news show, The Takeaway, from PRI and WNYC, and anchored presidential coverage in 2012 for PBS World Channel. Celeste’s TEDx Talk sharing 10 ways to have a better conversation has over 19 million total views to date. Celeste serves as an advisory board member for Procon.org and The Listen First Project and received the 2019 Media Changemaker Award. Along with artist Masud Olufani, Celeste is host of PBS’s new weekly series “Retro Report” which will debut in the fall of 2019. She is also co-host for season three of the Scene on Radio podcast — MEN. Her work and insights have been featured on TODAY, Psychology Today, Inc., NPR, Time, Essence, Elle, BuzzFeed, Salon, Parade, and many more. Celeste has presented to over 100 companies, conferences and universities including Apple, Google, United Airlines, Duke University, Chobani and ESPN. She lives in Washington, D.C. I resigned my full-time position last year and became a small business owner, specializing in workshops and keynotes on conversation and improved communication. I thought I would be happier and less stressed when I became my own boss, but that’s not what happened. As my income went up, so did my stress. As I increased control over my schedule, the number of commitments also increased and the amount of free time went down. The past two years have been devoted to researching this topic so I could not only solve my own problem, but write a book that can help others who are in a similar situation. Since we began carrying our work with us, it has become impossible to truly escape from the office. We answer email on our phones, take business calls, text co-workers, and check documents and spreadsheets. Our brains are thinking about our phones whenever the devices are visible. Even if the phone is not getting notifications about emails or texts, our brain is expending energy preparing to respond to a notification. This means we are rarely truly at rest. It helps to explain why we are so often exhausted, even while on vacation. There is solid scientific evidence that when we feel pressed for time, we are moreprone to make errors. We are also likely to be less compassionate to others and morelikely to make bad choices about how to use our time. Just the feeling that we areoverwhelmed can makes us less productive, whether we really are pressed for time ornot. Our brains work best when they alternate between work and rest. Currently, we never allow our minds to rest and so rarely approach tasks with a fresh mind. If we focus on one task at a time instead of trying to multitask, we can get our tasks done more quickly. Although it feels more productive to multitask, our brains aren’t designed to do two things at once and attempting to do so actually slows us down. That’s the irony. If we slow down and focus on one thing at a time, we ultimately work more quickly. We’ll also feel less stress. Disable most of the notifications on your phone. You don’t need to know every time someone likes your post on Facebook or comments on your Instagram pic. I get notifications only for texts and calendar appointments. Sometimes hours pass without any sounds coming from my phone. Stop multitasking. It can be difficult to break the habit, so I started by splitting my work day into half hour increments. I closed out extra tabs on my computer, including my email inbox, and silenced my phone. I found that once I stopped switching back and forth between social media and email and other tasks, I finished tasks more efficiently. Stop answering email in your off-hours. You will likely have your smartphone with you at all times, so it’s crucial that your phone not be so closely associated with work. Leave your work at work and make your home into a refuge again. I don’t answer email after 6pm. If I send email over the weekend, I delay delivery until Monday morning so that no one feels pressured to answer me in their off-hours. Mindfulness is merely the ability to exist in the current moment, without being distracted by memories of the past or thoughts about the future. I meditate, but found it was fairly easy to remain focused while sitting quietly with my eyes closed. I like to practice mindfulness while exercising. Instead of thinking about all I have to do while I’m walking or on the elliptical, I try to rest my attention on my muscles and the movement of my body. I try to focus on my five senses, noticing what I hear and see and feel, and taste. Another excellent way to practice mindfulness is to pay attention to every bite while you eat. Don’t eat at your desk or in your car, set aside 15–30 minutes, sit down and actually focus on your meal. Try to chew more slowly and taste what’s in the food. Not only will you enjoy your meals more, you are also less likely to overeat. Not really. You don’t need special tools to practice mindfulness. If you spend 3 minutes focusing on your breath with your eyes closed, that’s a mindfulness exercise. I use the Headspace app for meditation. I also use the Strict Workflow browser extension, which uses timers to help me stay focused on one task and then take a break. Any book or podcast can contribute to mindfulness if you read or listen with focus and relaxed attention. I would like to inspire a movement to recreate the boundaries between work and home. Make off-time off again. We work in order to enjoy our free time, so must stop using careers, spend more time hanging out with friends and family. Find another question to ask instead of “What do you do?”.